Crochet fingerless gloves are all the rage, and they’re popular in just about any season, from summer all the way through the spring! These handy little designs are so similar to regular glove patterns except that they extend down your arm about halfway to your elbow (generally), and, of course, they don’t have fingers! Crochet fingerless gloves are great to wear when you need to bundle up and keep warm but you still need to use your fingers – in fact, these are perfect to wear to combat a too-air conditioned office in the summer! You’ll find everything you need here, from simple little wrist-length gloves in solid colors and simple stitches to elbow length, multicolored designs using complex techniques – and everything in between! Say “I do” to this elegant accessory! 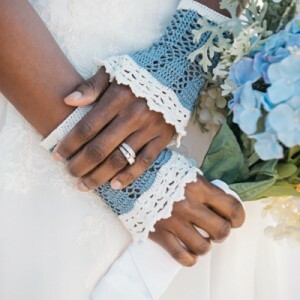 These lightweight lacy mitts have just the right amount of charm and personality to set the tone for your big day. All eyes will be on you when you wear this pattern, which is worked in the round with slip stitch joins—and a whole lot of style. 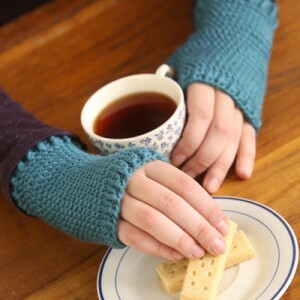 These fingerless gloves are great for some of the warmer winter days. Indoors or out, these little wristers provide just the right amount of warmth while letting your fingers be free. Light and lacy, these fingerless gloves offer a little bit of warmth and a lot of style! 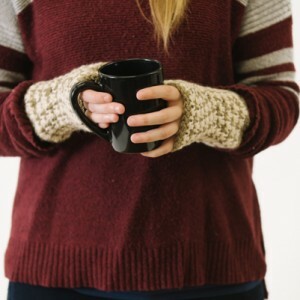 Keep your hands warm and your fingers free with these simple mitts. Show off your new loopy linked double crochet know-how with this easy fingerless gloves design. This pattern, written for different sizes, will show you how to create a versatile and easy adjusted set of gloves. This Regal Wrist Warmers crochet pattern is an elegant pair of textured fingerless gloves that feature ribbing wrist details for easy wear. 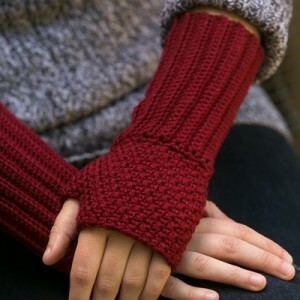 Worked in a deep and fall-appropriate red, these fingerless gloves are great to add a little bit of warmth without sacrificing dexterity. 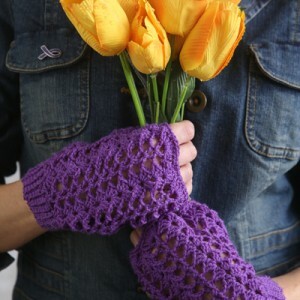 These fingerless gloves are a delightful complement to any spring wardrobe. Each round uses just one color, making this an easy “colorwork” project. It’s great as a stash buster, too! Lovely, long and lacy, these fingerless gloves have a lot of staying power and make use of both an elastic yarn and technical shaping. Self-striping yarn adds a visual punch without any extra effort! 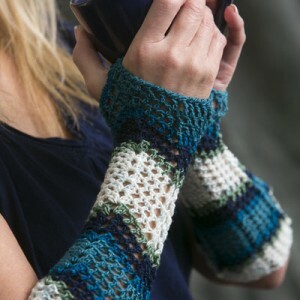 Spice up your winter look with a pair of crossed cables fingerless mitts. The mustard yarn and classic decorative buttons add style to this classic set of gloves. Small modifications to the pattern are all you need to make these longer for a more demure look. 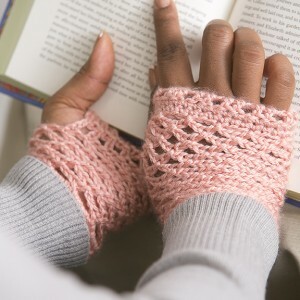 For a warm and rosy accent in the drab winter months, try these fingerless mitts. These delicate gloves can keep your hands warm while you work.